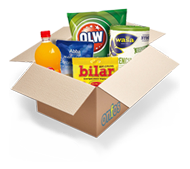 We collect our clients orders over a specific period and subsequently order all goods from our partner ICA Maxi in Sweden. The goods is transported to our warehouse in Hamburg with refrigerated trucks, guaranteeing the cool chain. Upon arrival, all goods will be picked, packed and handed over to the respective shipping service provider, all within one day. Orders placed between Tuesday, midnight, and Friday, 11:59 PM (German time zone), will usually be shipped the following Tuesday. The delivery time is one to two days and depends on which (federal) country you live in and which shipping method you have chosen. Orders placed between Saturday, midnight, and Monday, 11:59 PM (German time zone), will usually be shipped the following Wednesday. The delivery time is one to two days and depends on which (federal) country you live in and which shipping method you have chosen. Important! 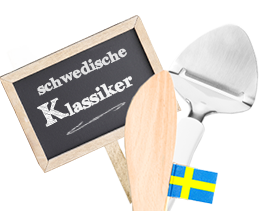 During the high season (Easter, Midsummer and Christmas) we expand our capacities and receive goods from our Swedish partner several days a week. All changes to order deadlines will be announced on our website. There is no delivery on public holidays. This can also mean that we have to adjust the delivery times and send your order later. Chilled and bread packages will not be send if a delivery prior to the weekend can not be guaranteed. Packages containing only dry goods are not affected, but are also not delivered on public holidays and are delayed by one working day. For chilled deliveries, we charge an additional fee of 5.00 € (incl. VAT) for a styrofoam box and dry ice and/or cooling gel. Within Germany, we offer shipping with DHL Paket, UPS Standard and UPS ExpressSaver. You can choose the shipping method yourself. UPS ExpressSaver guarantees a delivery until 06:00 PM the day after shipment was sent to any address in Germany. The shipping costs for UPS ExpressSaver are 8.90 € (including VAT). With a goods value over 75,00 € the shipping costs are 3,00 € at most. We also deliver to DHL packingstations. The maximum size for packages is 60x35x35 cm. If you intend to order many goods, we ask you to consider this and in case of doubt to specify a regular address for the delivery. In cooperation with DHL, we also offer evening delivery. You can now choose one of two time slots: Either 6:00 - 8:00 PM or 7:00 - 9:00 PM. The shipping fee for evening delivery is 9,50 €. If the order value exceeds 75,00 €, you only pay 5,50 €. For the packaging of your orders we use normal cardboard boxes. Our goal is to minimize the impact on the environment. For this reason, we are constantly working to reduce the consumption of packaging material. The refrigerated goods are packed in functional styrofoam boxes. To keep the cold chain, we use gel-filled cooling packs and put them into the boxes. Both the gel and its plastic wrap are non-toxic and can be disposed pollutant-free. From time to time we also offer frozen goods. So we have, for example deep-frozen crayfish as part of our product range. During the crayfish season we ship crayfish with dry ice, which is in a so called "cool bag". This bag should not be touched with bare hands, but only with gloves. Otherwise burns can occur after a short time. The dry ice sublimates quickly so that only the coolbag remains. This can be disposed of in normal waste. Until the dry ice is completely sublimated, it should be stored in a well-ventilated room, as the resulting carbon dioxide can cause suffocation. Always keep the dry ice out of reach for children and animals. During this period all our customers in Denmark, Germany, Austira, Belgium, the Netherlands, Luxemburg, Italy, France and England can order crayfish. We ship frozen goods without dry ice and use a fast and reliable shipping method, so that the goods arrive on time. For questions and further information we are at your disposal. We are looking forward to your feedback!